Nikon Z7 and Sony A9 get extra functionality. Firmware updates for your favourite cameras are coming in thick and fast. Just this week, we learned of some big Fujifilm updates and now both Sony and Nikon are getting in on the act, updating their cameras with some great new features. 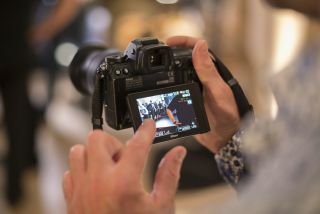 The Sony A9's latest firmware upgrade is all about file transfers. According to Sony, the Version 4.00 update "allows photographers to transfer images to FTP servers during record and playback operations so that they can continue to enjoy the performance advantages of the A9." It has been "designed and implemented after feedback from existing A9 users, this enhanced functionality allows professional photographers to share their output with news desks instantly." This update is great, then, for pro photographers that need to get their shots filed super quick. The update will also allow you to choose which images to file. So, if you are a batch uploader, great, if not you can just upload single files. Also, it will allow you to choose which file format to upload: RAW / JPEG / RAW + JPEG. The Nikon Z7 is also set for a firmware update - this one is more of a bug squasher. In Firmware version 1.02, Nikon's flagship camera is getting a number of fixes. This includes an issue that caused the display to flicker if pictures were scrolled during playback zoom, an issue that allowed the camera to exceed the value chosen for ISO sensitivity settings and it's also stopped some features from crashing the camera. The full update is available on Nikon's site.